This comprehensive certified program combines the power of data science, machine learning and deep learning to help you become an AI & ML Blackbelt! Go from a complete beginner to gaining in-demand industry-relevant AI skills. Here are all the courses that are included in AI BlackBelt Program. Tableau Visual Best Practices: Go from Good to GREAT! What happens when you combine ALL of Analytics Vidhya’s comprehensive courses, curated and designed by instructors with decades of data science experience? You get the AI & ML BlackBelt program! There are multiple elements that go into becoming an AI expert. Data Science, Machine Learning and Deep Learning are the core components you would need in our journey to break into the wonderful world of AI applications. AI & ML BlackBelt is a thoughtfully curated program designed for anyone wanting to learn data science, machine learning, deep learning in their quest to become an AI professional. It all starts here so are you ready to take the ride? You will get access to ALL the courses Analytics Vidhya has curated and designed as part of AI & ML Blackbelt. What are you waiting for? Start your AI journey today! Microsoft Excel: Beginners to Advanced: MS Excel is still the most widely used tool for day to day analysis across the world. By the end of this course, you will have mastered Excel, Pivot Tables, Conditional Formatting and will be ready to crunch numbers like a pro! Ace Data Science Interviews: Data science interviews can be daunting if you don’t know what to expect. You might feel you have all the knowledge and yet you keep getting rejected. This course will guide you on how to navigate data science interviews, lay down a comprehensive 7-step process, and help you land your dream data science role! Why you should enroll in the Certified AI & ML Program Blackbelt? Upskill yourself for the AI Revolution: Artificial Intelligence has already started making a huge impact in various industries, roles and functions. The time to upskill yourself and become familiar with artificial intelligence and machine learning is NOW. This comprehensive program will enable you to do just that. Easy to understand content: Understanding data science concepts can be difficult. That’s why all the courses in this program have been curated and designed for people from all walks of life. We don’t assume anything – this is AI from scratch. Experienced Instructors: All the material in this program was created by instructors who bring immense industry experience. Combined among us, we have more multiple decades of teaching experience. Industry Relevant: All the courses in this program have been vetted by industry experts. This ensures relevance in the industry and enables you with the content which matters most. Real life problems: All projects in the program are modelled on real-world scenarios. We mean it when we say “industry relevant”! This program requires no past knowledge about Data Science, Machine Learning, Artificial Intelligence, or any tool. End to End Approach - Our programs have no pre-requisite, they start from basics and prepare you for industry by building your portfolio of industry relevant projects. 18 month access with complete support. More time would enable you with do more projects and pace your learnings. Who should take this certified program? This program has been designed for all data science enthusiasts from all walks of life. We have curated all the content for each course in a way that’s easy-to-digest for people coming from a non-technical and non-data science background as well. When will the classes be held in these courses? These are all self-paced courses which you can take any time at your convenience over the next 18 months after your enrollment. Do I need to install any software before starting each course? The fee for this certified program is refundable within 7 days of your purchase. Kindly let us know your desire for refund by filling in this form. Upon refund, you would be un-enrolled from the courses and the entire amount will be refunded. Do I get a certificate of completion after finishing each course? Yes! You will be given a certificate upon satisfactory completion of each course in this program. You will be able to access the course material for eighteen months since the date of your enrollment. 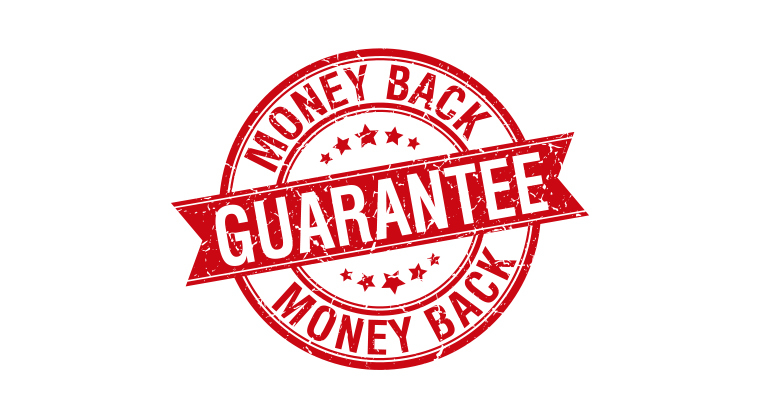 All our programs come with 7 days no questions asked Money back Guarantee. Start your course today with confidence.